It's a whole new world...in your pocket! Based on the Disney animated film Aladdin, popular characters are getting a touch of Funko stylization. 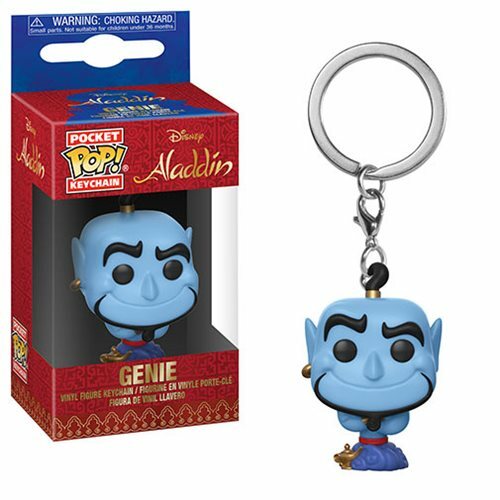 The Aladdin Genie Pocket Pop! Key Chain measures approximately 1 1/2-inches tall and comes packaged in a window display box.